Known for the sweeping Swiss Alps and beautiful lakes, Switzerland is a great addition to everyone's bucket list! Lake Geneva is nestled between France and Switzerland at the base of the Alps. Geneva and Lausanne are the two largest towns on the Swiss side. Between luxury shopping, lake cruises, family run vineyards, and artisanal chocolate shoppes, there is a little something here for everyone! These quaint Swiss towns are only a short train ride apart, making it easy to get the best of both worlds. 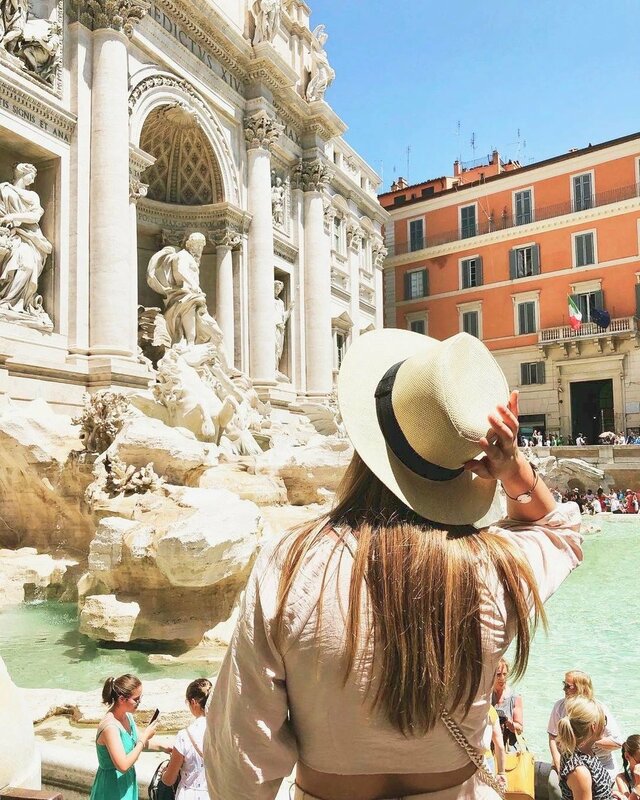 How do you get to this beautiful destination? There are some non-stop flights to Geneva are typically available in some east coast cities, including Washington D.C. and New York City. The best times to visit? Click HERE for more information! Visit the Jet d'Eau "Water Jet" - It is hard to find a postcard of Geneva that doesn't pay tribute to this beautiful water feature. As one of Europe's tallest fountains, the "Water Jet" shoots 132 galloons of water 459 feet in the air making it one of the most famous landmarks in Geneva. Wine tastings at local vineyards - You probably know by now that we are suckers for some good vino. 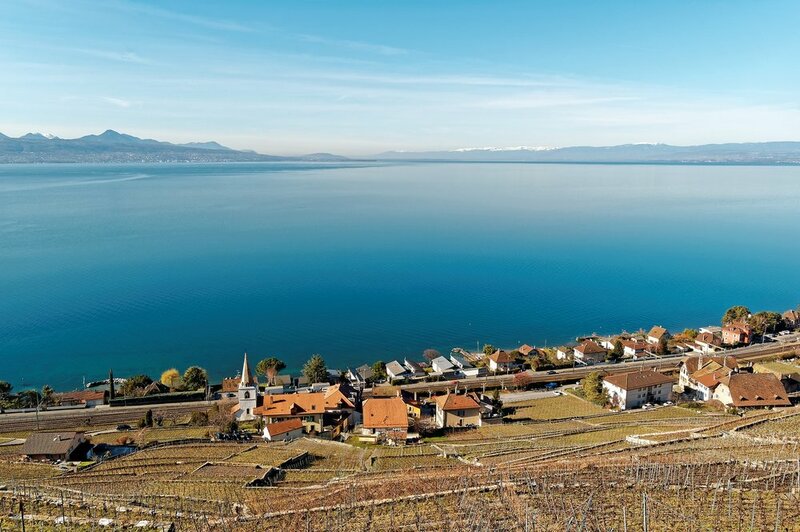 The vineyards of the Lavaux district has plenty of beautiful viewpoints to stop and have a sip while taking in the gorgeous panoramic views of the Swiss Alps! Indulge in authentic Swiss chocolates - Learn all about the chocolate-making process while treating yourself to a sweet treat! There are plenty of shoppes with gourmet chocolates and hot chocolate drinks, so make sure to bring your sweet tooth. Check out the Olympic Headquarters in Lausanne - Experience all of the excitement of the Olympics, minus the exercise! Be sure to leave some time in your schedule to tour this impressive museum that takes you through the founding and development of the historic games. Start planning your switzerland vacation today! Make sure you are on time to all reservations during your trip! The Swiss highly value punctuality. Don't be offended if people come off unfriendly. Unlike the United States, making friendly small talk with cashiers and waitresses is discouraged. Switzerland has four official languages: German, French, Italian, and Romansh. Check out more Switzerland travel tips HERE!